Tequila and lime are the classic flavours of Mexico, present at any party! Vibrant carnivals and celebrating the good things in life are central to Mexican culture, as is refreshing, easy drinking cerveza. Amigos is inspired by this sense of celebration, colour, energy and fun and the combination of classic Mexican flavours. 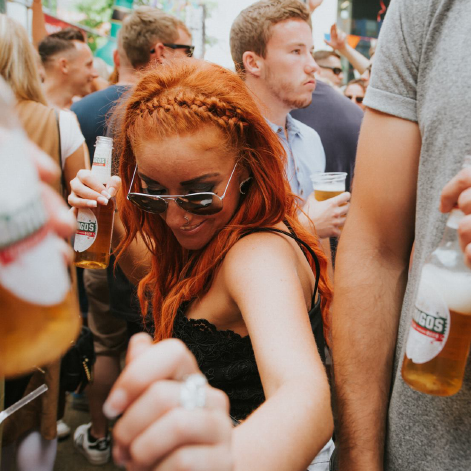 Our beer is flavoured with the zing of South American limes and the flavour punch of tequila, ready to transport you to the streets of Mexico with your first sip. Amigos supports street culture. From street food markets and street art jams through to street parties and festivals. We love culture that comes from the streets – made by the people for the people and believe that Amigos is the perfect #streetcerveza. Throughout 2016 we’ve supported a host of events including street art shows such as Fresh and Chromart, underground parties in Bristol, Manchester and Sheffield as well as Urban Food Fest in Shoreditch. We’ve plans to do even more in 2017 – So watch this space for more great plans for #StreetCerveza, supporting the street culture we love. 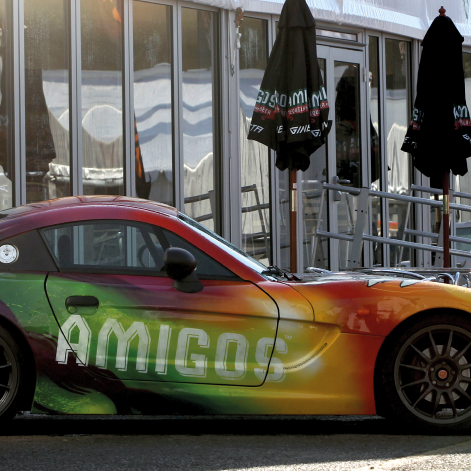 Amigos has long supported motorsport, currently sponsoring the British Touring Cars Championship race winner Tom Ingram, Formula 4 championship contender Sennan Fielding and the Ginetta GT4 Super Cup Championship. Shining a whole new light on the #streetcerveza campaign; you can’t get closer to the streets than burning rubber and high speed races. In Mexico, a very popular drink is Sangrita (meaning little blood, not to be confused with Sangria!). It’s a non-alcoholic, spicy drink which enhances the flavours of tequila. The most authentic Mexican recipe is made with orange juice, lime juice, grenadine and chilli. 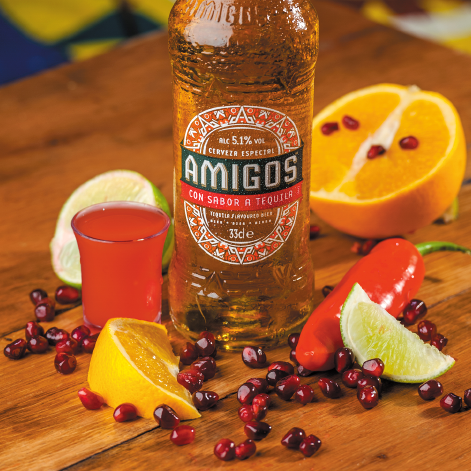 This bright red, spicy, juicy shot is designed to be shotted before drinking an ice-cold amigos, or enjoyed alongside. The flavours in both liquids work perfectly together whilst the combination of warming spice and ice-cold beer is instantly refreshing. Ask your local pub, restaurant or bar if they’re serving Sangrita alongside Amigos today. 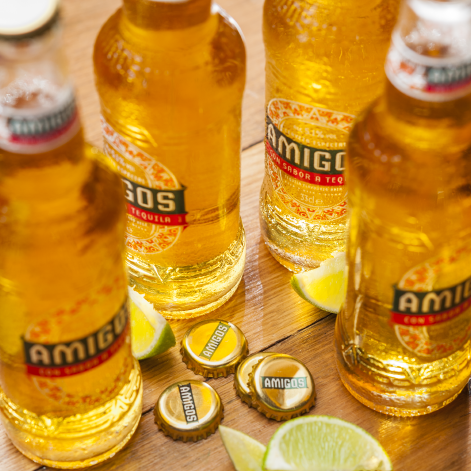 A golden, easy drinking beer with a punch of tequila flavour, enhanced by the zing of South American limes. Inspired by modern day Mexico’s sense of vibrancy, energy and passion, Amigos is best enjoyed ice cold, with friends. Available in 33cl and 50cl bottles. 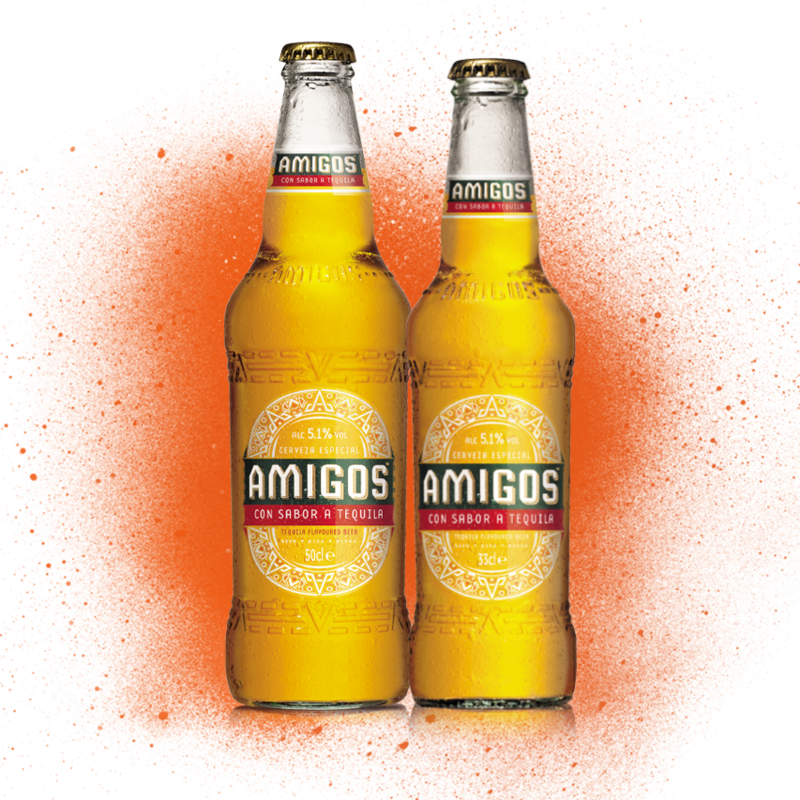 You can purchase Amigos from many great quality supermarkets and convenience stores as well as a wide range of pubs, bars, restaurants and markets. To stock Amigos, please call 01246 216016. We love graffiti and Mexico is arguably one of the only places that really praises its existence. That’s why we feel such a connection with the artistic city. Graffiti has always been a controversial subject around the world, in Mexico however, the story is completely different..
Last month Amigos had the pleasure of sponsoring FRESH MINI, created and presented by Blair Zaye, showcasing a whole host of international artists under one roof – The Ben Oakley Gallery. We’ve launched the new Amigos! Where did you hear about Amigos?